Throughout the centuries, people have used the complex properties found in plants to treat medical ailments. As modern prescription drugs became readily available, herbal medicines became less popular, but they are making a comeback as people become more interested in organic and natural living alternatives. These natural remedies are often used in conjunction with prescription drugs, but these combinations can sometimes be extremely dangerous. Herbal medicines use parts of a plant, such as the leaves, bark, flowers, roots, or berries to treat a medical ailment. The medicines come in many forms, including tablets, teas, capsules, syrups, creams, and powders. Many modern drugs are based on the chemical compounds found in plants. For example, morphine comes from the poppy plant, while digoxin, a heart medicine, is created using foxglove. Herbal medicines are often self-prescribed and are widely available over-the-counter. First, the two medicines can have a similar effect, causing an exaggerated response to that effect, which can be either good or bad. Second, the two medicines can have the opposite effect, preventing either treatment from being effective. Finally, an herbal remedy may limit the absorption of a prescription drug in the body. The side effects of combining an herbal medicine with a prescription drug vary from situation to situation, but there are some common drug combinations that are believed to be dangerous. Ginger, garlic, feverfew, gingko, and ginseng may cause dangerous bleeding and bruising when used with prescription blood thinners. St. John’s Wort may decrease the effectiveness of various drugs such as anti-anxiety drugs. Licorice may decrease the effectiveness of heart rhythm drugs and increase the effect of diuretic drugs, causing dangerous potassium and sodium levels. To look up possible serious interactions associated with specific prescriptions drugs that you are taking, you can browse the side effects database at Drugsdb.com. How to Limit the Risk of a Dangerous Interaction? There are steps that can be taken to limit the risk of a dangerous reaction when taking herbal medicines and prescription drugs. Always check with your doctor or pharmacist before taking any herbal remedies, especially if you are pregnant, having surgery, or having a chronic illness. Never take more than the recommended dose of any medication and avoid taking herbal medicines for more than a few weeks at a time, unless otherwise directed by a doctor. Make sure to tell your doctor about any herbal medications you are taking at each visit, even if you believe he or she already knows. Is Herbal Medicine Labeled ”Natural” safe? Many people assume that when they see the words “all-natural” on an herbal medicine label, it must be safe. This is not necessarily true. Plant-based herbal remedies contain strong medicinal ingredients and may cause unwanted side effects, especially when taken in large doses. The term “natural” is not regulated and its meaning can vary from product to product. In addition, herbal medicine manufacturers are not required to place drug interaction warning labels on their products. Furthermore, product recalls due to adverse reactions are only voluntary at this point. Are Herbal Medicines Regulated by the FDA? Herbal medicines are considered dietary supplements. Although the Food and Drug Administration (FDA) regulates dietary supplements, they do not regulate them as rigorously as other medications, so manufacturers do not have to go through FDA approval prior to bringing an herbal medicine to the market. 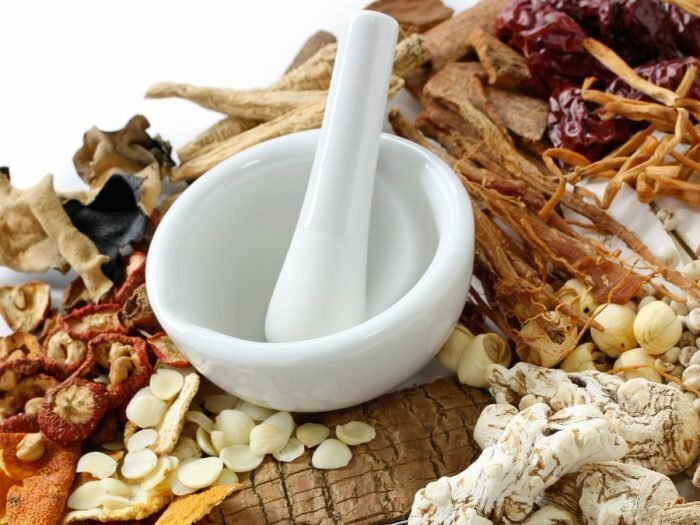 In addition, the quality and purity of herbal medicines can vary from manufacturer to manufacturer, or even between different batches of the same product from the same manufacturer. Herbal medicines can be a safe, effective way to treat medical ailments when used as directed. However, it is important to remember that they contain powerful natural ingredients that may interact with prescription drugs. As the popularity of herbal medicines continues to increase, it is imperative that doctors and patients communicate openly about all drugs a patient is taking to ensure that there are no dangerous side effects.